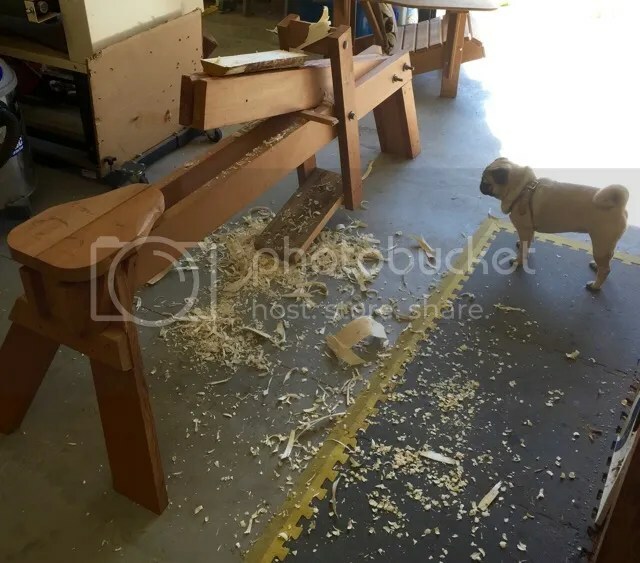 Okay, so not exactly fine woodworking, but they are an excuse for some shop time. With so many projects, put off for so many years, “until retirement”, I’m a bit overwhelmed now that retirement has arrived. I’ve recently experienced a serious lack of motivation due to the sheer number of things to be done. But I also know that if I continue to show up at the shop everyday, I’ll find my muse eventually. 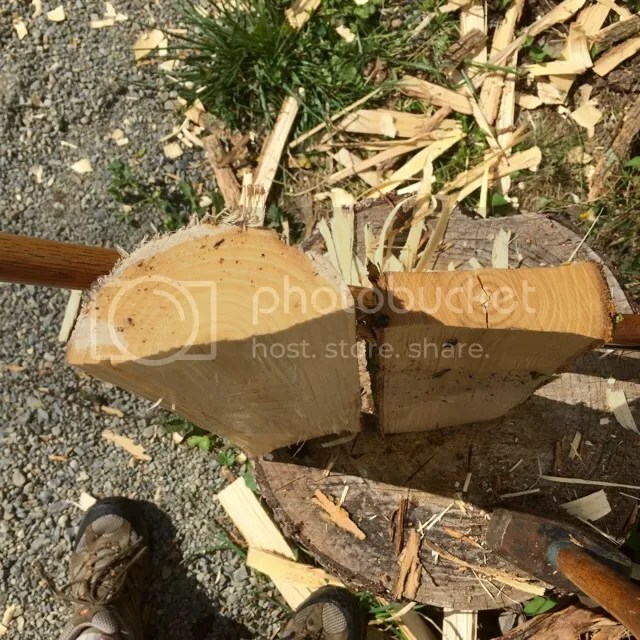 I start by riving out the pith from a small log. I then draw the general outline with a wax marker (wax works best on green wood). 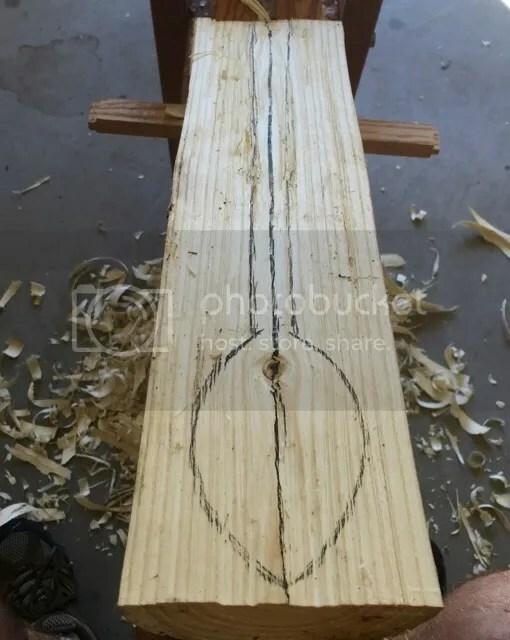 I usually have to re draw the outline several times as wood is removed. 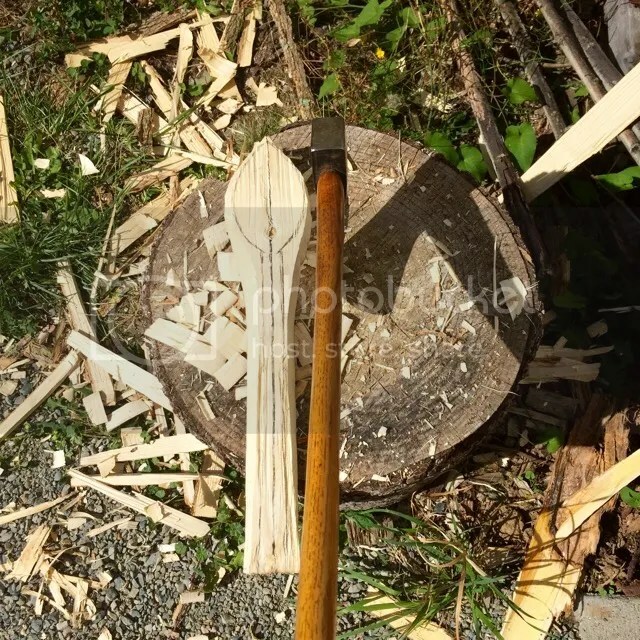 The tools I use are an axe, a shave horse, a drawknife, and my homemade crooked knife. 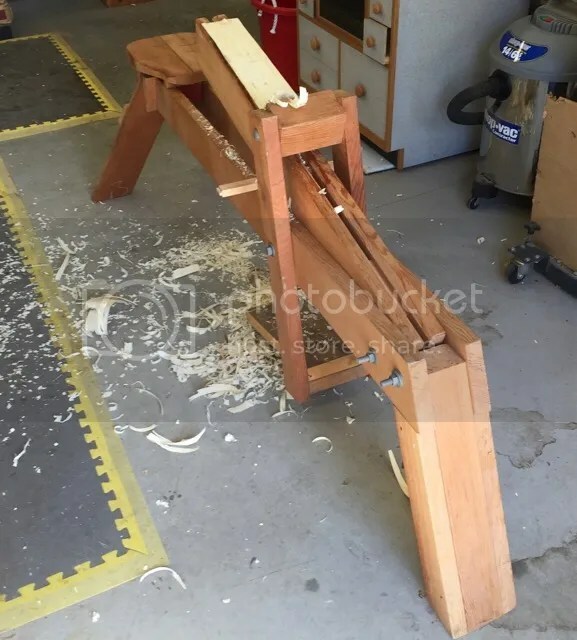 The shave horse was made for making canoe paddles, oars, and longbows, etc. I really should modify it for short stuff, but that’s just one of those things that need to be done, … in retirement. 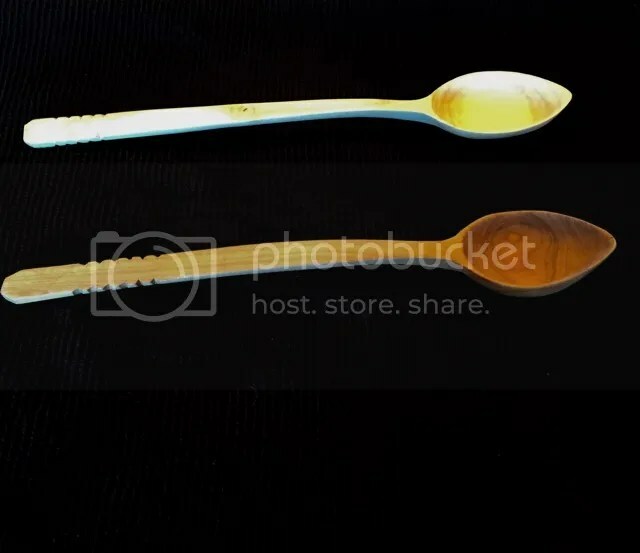 Why are the spoons different colors? 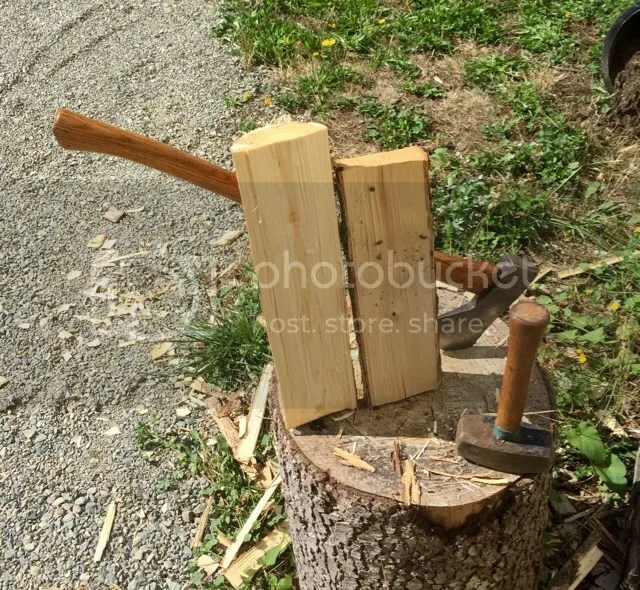 The two spoons in the photo were made from different trees.